As you already know, Ford has manufactured top-quality, reliable consumer vehicles for decades. You may not know that they also build some of the best Ford Lakeland fleet vehicles to be used for commercial purposes. Their commitment to creating tough, functional consumer automobiles translates to their commercial audience, as the industrial vehicles they sell are certainly built to last. 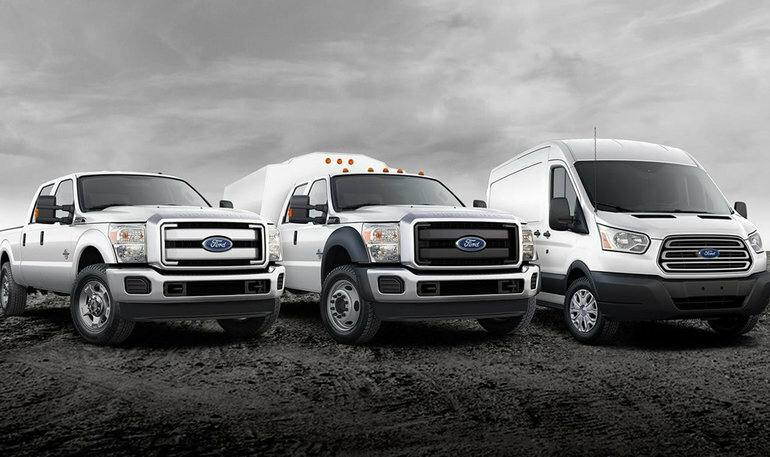 With a variety of options available at Bartow Ford, your business will certainly benefit from the value these vans and trucks provide and the thoroughly equipped servicing center at our location. Let’s meet the Fleet! The Ford Transit and the Ford Transit Connect, as well as their unique editions, are some of the most beloved commercial vehicles for businesses, both big and small. These trucks provide an impressive amount of features that suit business owners, thanks in large part to their considerable amount of customization. These vehicles are sold at remarkably reasonable prices considering their immense utility and wide breadth of use. Business owners can design the interior space of their Transit in a variety of ways, allowing for several storage solutions, both regarding maximizing the volume of space available and a number of storage pieces installed. Customers also appreciate the capacity to easily customize the exterior of their van thanks to the spacious, without window design of the side panels. This expansive space makes it quite simple to wrap the vehicle in your design or logo. We’ve also got plenty of Super Duty pickup trucks ranging from the F-250SD to the F-750SD. These trucks are capable of hauling and towing incredibly large and heavy objects, allowing you to, for example, pull a trailer packed to the brim with tools and supplies, and even large machinery. The options are endless for our business consumers, which is why many of them choose to purchase these powerful trucks when their business is on the line. 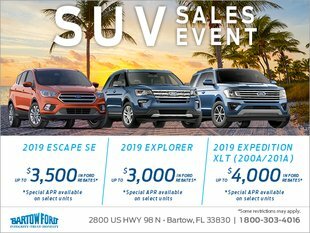 If you are looking to outfit your business with a range of powerful, reliable, and economically viable commercial vehicles, Bartow Ford for Ford Lakeland vehicles is your dealership. We’re conveniently located on 2800 US HWY 98 North, and we have hundreds of vehicles ready for you to test drive! Visit us in person Monday through Saturday and online 24/7!